"Had Europe not pulled of the 'Miracle At Medinah' in 2012, then we'd be on a run of six straight home wins." This is probably one of the hardest matches to predict. When the US romped to a 17-11 victory at Hazeltine in 2016 it seemed that this could be the dawn of a new era. With lots of fresh, young players, who got on and weren't carrying Ryder Cup scar tissue, the Americans were perhaps embarking on a real spell of dominance. And yet closer inspection of that match suggests Europe were always up against it with six rookies. History says you can't absorb that many as the away team even though one of them, Thomas Pieters, ended up as top overall points scorer. But, given that the US haven't won on European soil since 1993, do we really think they're a decent bet at a shade of odds-on? Home advantage shouldn't be underestimated in this contest. Had Europe not pulled of the 'Miracle At Medinah' in 2012, then we'd be on a run of six straight home wins. So does that make them a bet at 13/10? True, Thomas Bjorn can set the course up to suit his men and negate the US power hitting and many of his team know Le Golf National well. But, based on world ranking, the US have their strongest ever team on paper. It can be argued both ways and the tie has to be considered a runner at 12/1. However, I'm just about leaning towards the hosts given that the course will suit them much more so I'll have a small wager on Europe to win 14.5-13.5 at 11/1. Looking back at the last Presidents Cup, Rickie Fowler and Justin Thomas led the US team off in Thursday's foursomes but the other three team play sessions all had Patrick Reed and Jordan Spieth going out first. Spieth and Reed were undefeated and won one and halved one of their fourballs. Jim Furyk was an assistant captain so presumably took notes. 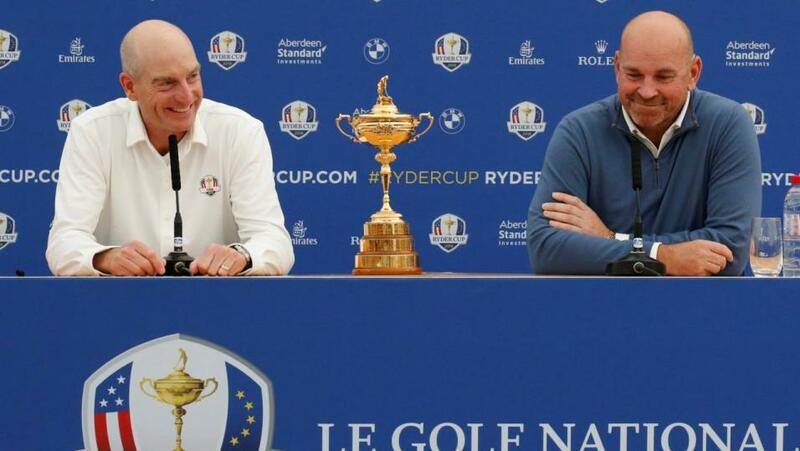 Back in the 2016 Ryder Cup, the two young guns were also Match 1 on the opening day, this time scoring a 3&2 foursomes win over Henrik Stenson and Justin Rose, who gained revenge in the afternoon fourballs. Practice rounds can be case of bluff and double bluff but this time they hint at a Reed/Tiger partnership being prepped and, with Spieth a little muted after his no-win season, it would certainly make sense for Furyk to unleash his bid for glory by sending out Captain America with GOAT. In that case, slight preference would be for Reed to hit first. He'd be the young gun with the chest pumped out pleading to launch the opening shot while the older, wiser Tiger may be happy to play second fiddle. Adopting a similar line of thinking, if Bjorn wants to fight fire with fire, how about an opening act of Rory McIlroy and Jon Rahm. As with Reed and Woods, McIlroy and Rahm went out in the same group on Wednesday and let's not forget how impressive Rory was alongside Thomas Pieters in the last Ryder Cup. Rahm is the obvious rookie to throw Rory's way and fourballs looks an ideal format for the duo. This time, I'd expect Rory to pull rank given that this is Rahm's first experience of a Ryder Cup so I like McIlroy to hit first. I think McIlroy is a shoo-in to play every session but 1/2 will put plenty off. If there's some value in this market, I'd take Rahm at 23/10. Should the Spaniard get hot early, Bjorn may well be happy to let the young bull run wild. He's already reached a WGC Match Play final and is a huge fan of this course after finishing T10 and T6 at Le Golf National in the last two years. I imagine he's a persuasive chap too and that combination of energy and fire should make him a contender to play the maximum five. The stats say it simply has to be a European. In the last 10 Ryder Cups a Euro has finished joint top overall scorer eight times and shared it twice with an American. History also says it can be done on debut as Pieters proved. Therefore, at the risk of putting all my eggs in the same basket, I'll put forward Rahm again at 14s.